Torque News has covered number of stories about different color combinations of Tesla Model 3, but this picture with a white interior actually looks very good and appealing. 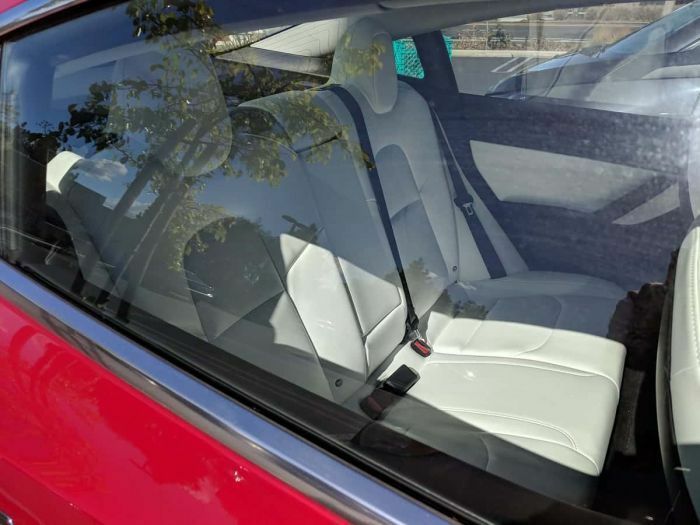 Today, a Reddit user named workingmonk posted these pictures on Imgur showing how a Tesla Model 3 with a white interior looks like. It actually looks pretty good. The top of the dashboard is white. The wooden dashboard is removed. Some people prefer their cars without the wooden dashboard as they consider the wooden dashboard as outdated. While, I myself am not very enthusiastic about the wooden dashboard, Tesla's white interior in the Model S and X comes with a black wood trim. Some people say this looks pretty nice too. However, other Model S owners, who like the wooden dashboard in their interior, say the wood looks much better in person than in pictures. I kind of agree. These things are the least of my worries as quality and reliability tops my list. I" personally cannot stand tan beige or brown interior. I can’t quite articulate why, but for me it feels dated and outside of my preferred design standards. I feel like the exterior color of the car would have to be a moss green or other earth tone to accommodate a deep brown interior. For me the white interior with the ash wood paneling is perfection for stone color cars. I don’t even have my model 3 yet but I’m looking into the best way to get rid of the wood trim if I can't get the white interior," writes a Reddit user loudestilion, in this discussion. "Replacing the wood trim with white trim seems off. I get the feeling that it could cause a harsh reflection of light. But hot damn white upholstery looks nice. Similar to being ocd with black paint, I don’t know if I could stay sane with the upkeep. Also - the white inserts on the doors look like they could get nicks from women’s nail polish as they grab the door handle," writes another user. I kind of like the white interior because it screams Tesla. Which color combination do you like the most for Tesla Model 3 vehicles? Let us know in the comments section below for discussion.